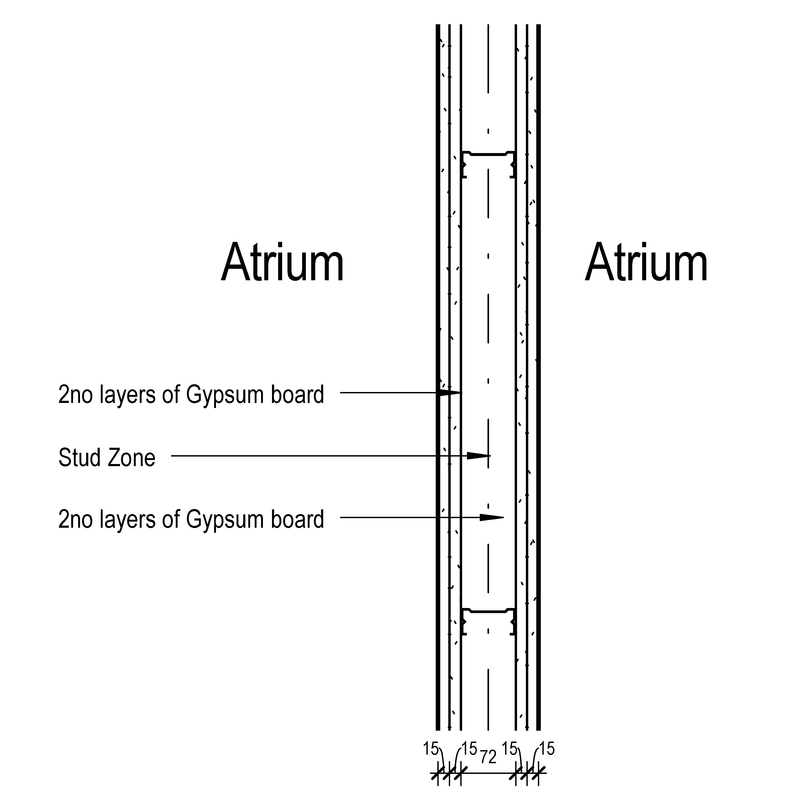 A gypsum board partition system typically comprises of items such as damp proof course, framing and insulation. 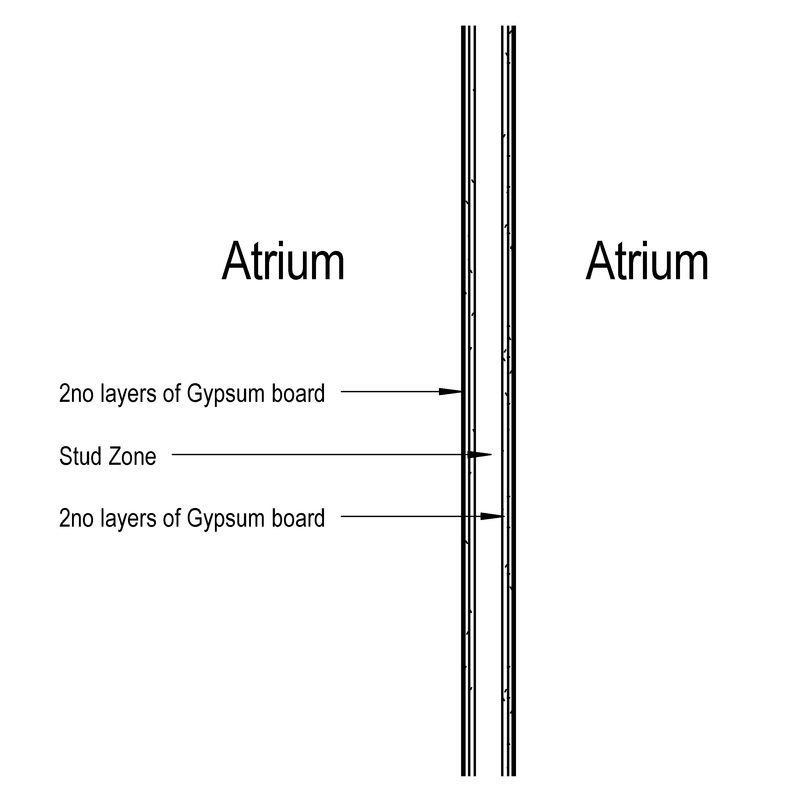 Complete this electronic spreadsheet to ensure that your Gypsum board partition systems product information meets the requirements of Level 2 BIM. This is important as it will enable your customers to select, specify and use your products within the BIM environment. Once you have completed this template you can host it on your own website or distribute it to your customers. Please note that we do not host completed product data templates within the BIM Toolkit. 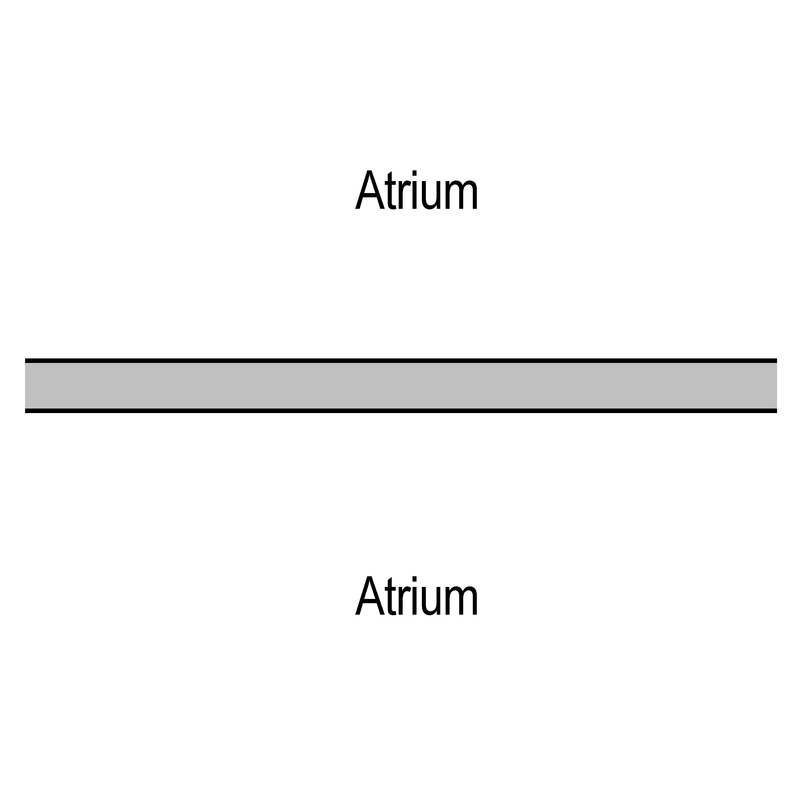 The above illustration is for Gypsum board partition systems from the NBS section Framed partition systems. 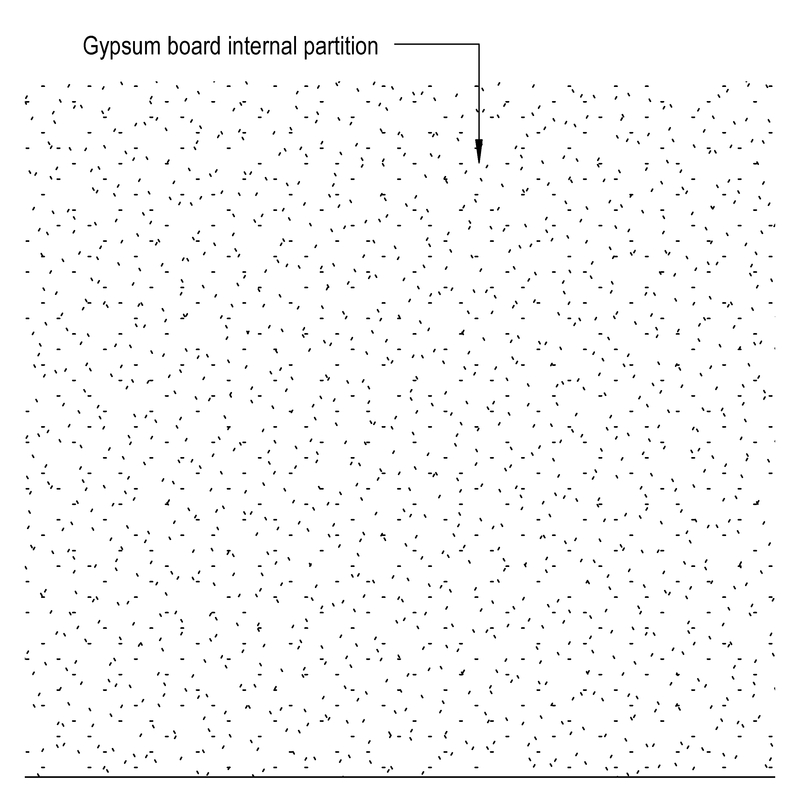 This is indicative of the LOD requirements for Gypsum board partition systems. 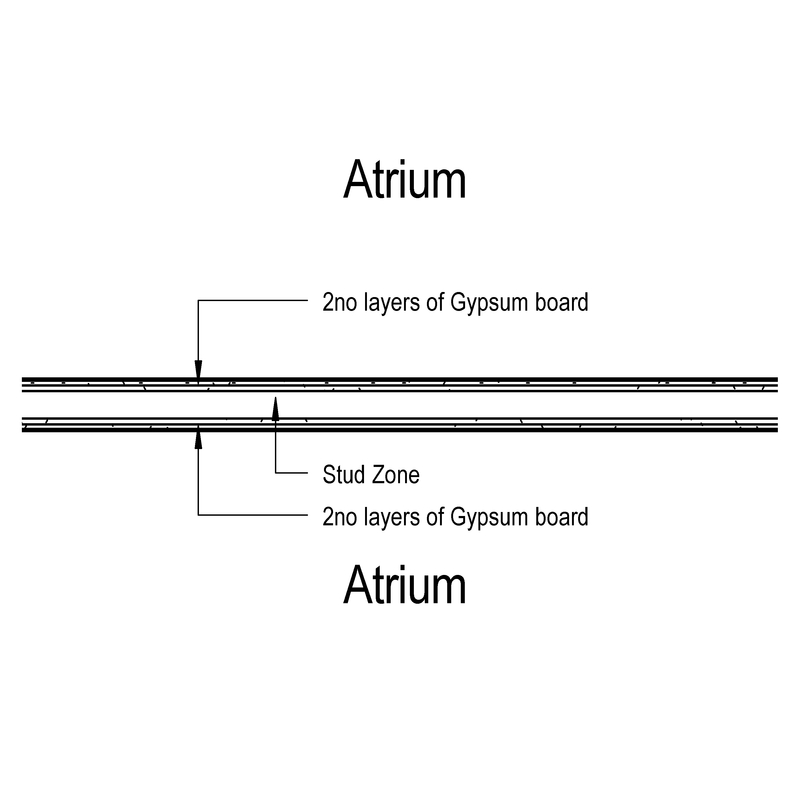 The above illustrations are for Gypsum board partition systems from the NBS section Framed partition systems. This is indicative of the LOD requirements for Gypsum board partition systems. Framed partition system design requirements Standard and Materials, components and details. Structural performance Strength, Internal air pressure resistance and Racking strength. Airtightness performance of partition systems Air permeability, Air leakage rate (m3/hr) and Design pressure (maximum). System manufacturer The System manufacturer of the Gypsum board partition systems. Framing Products such as Carbon steel dry lining frames. Insulation Products such as Cotton fibre batt insulation. Resilient layer Products such as Aerogel blanket insulation. 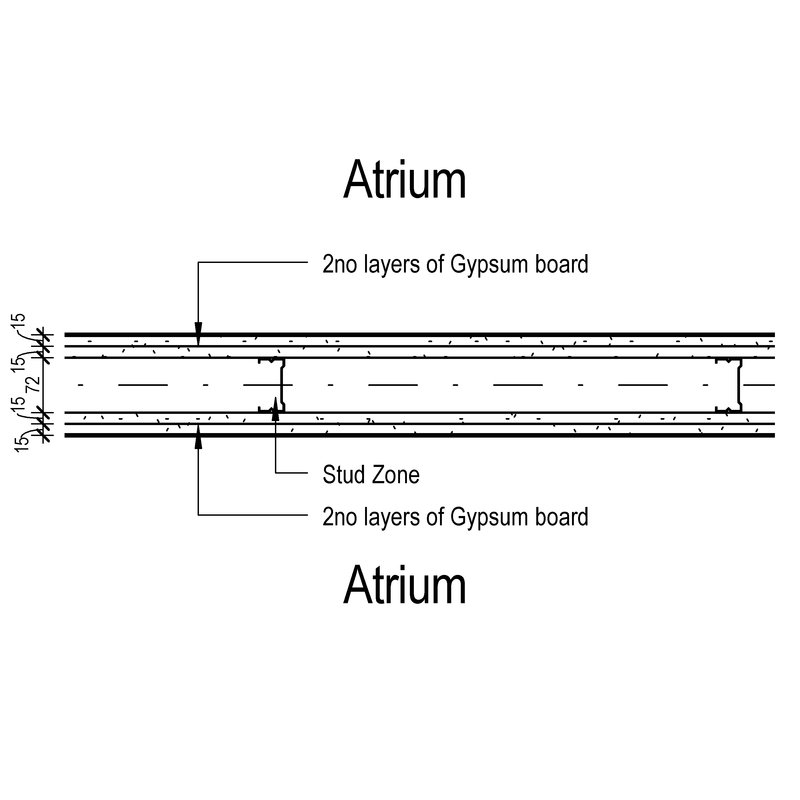 Linings - Inner layers Products such as Fibre-reinforced gypsum boards. Linings - Face layer Products such as Gypsum plasterboards. Linings - Fasteners Products such as Gypsum-based adhesives. Finish Products such as Plasterboard primers.